Since opening in fall 2018, the Deep Ellum Hostel has brought a welcome addition to one of Dallas' busiest neighborhoods. The hostel, opened by Collin Ballard and Kent Roth (also responsible for Firehouse Hostel in Austin) took up residence at the corner of Elm and Crowdus. It's steps away from some of the neighborhood's most popular spots (Pecan Lodge, Stirr and Anvil Pub come to mind) and has brought life back to a former warehouse building that sat empty for decades. The aesthetic is homey with a Mediterranean twist. The duo had fun with a huge wall in the kitchen, exposing the brick below in the outline of a world map. The first floor is what you'd expect: common spaces that include a kitchen, laundry area and spacious sitting nook. Look for what appears to be an art piece made of suitcases – it's actually a door to Izkina, the hostel's bar and restaurant. While the hostel itself is news enough, Izkina is also being recognized for some stellar dishes. 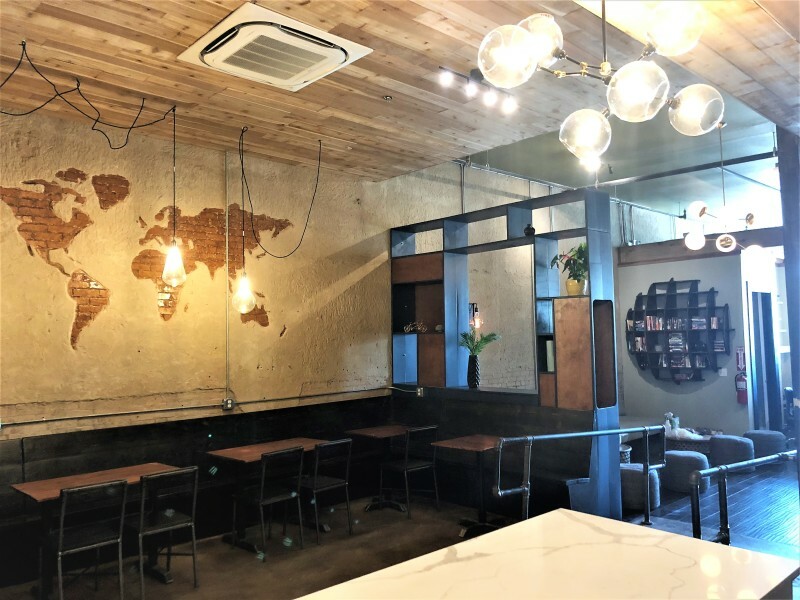 It was named one of Dallas' 10 best new restaurants in 2018, thanks to a lineup of tasty Spanish tapas on the rotating menu. Stop by during happy hour for $5 cocktails (you'll want to try the sangria!) and bite size snacks. 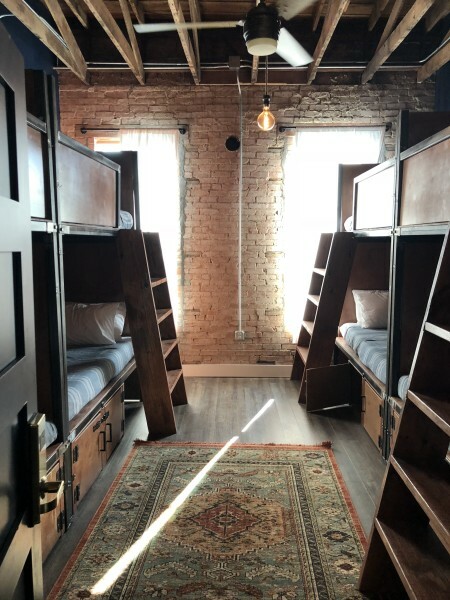 Those looking for a place to crash can expect to pay around $40 for a dorm-style sleeping arrangement: two to four sets of sturdy bunks beds (built by Kent Roth himself with reclaimed wood from the building's renovation) in a single room. Dorms are split into women or men-only rooms and beds are on a first come, first serve basis. And while the dorms are a shared space, you won't find that in the bathrooms; instead, five individual shower/toilet rooms are available for use, complete with trendy marble finishing. Private rooms will run you closer to the $120 mark and the luxury of a private bathroom (a rarity in the hostel world).